An electricity monitor that provides instant energy feedback in dollars and cents, allowing you to lower your electricity bill and reduce energy. TED's residential home electricity monitor is designed for single phase electrical systems. View real time electricity data, projected monthly bills, instant rate changes, and even set your own budget and alerts. The Energy Detective has a variety of features to help consumers save electricity around the home. Watch a short video that explains how to save with TED, or view each feature below. Use the optional wireless handheld display (available with all "C-model" units) to instantly discover phantom loads, check usage of individual appliances, and see the difference turning a switch on/off really makes. 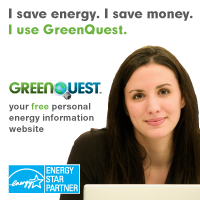 Instantly and conveniently view real-time electricity usage, voltage, and your projected monthly bill. 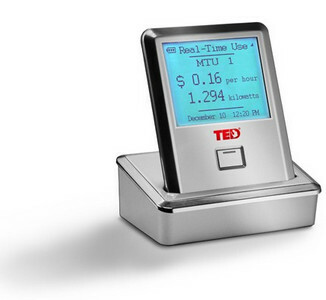 Use TED's interactive Footprints Software (embedded in all TED units) to chart and graph usage, view historical data and trends, set up TED Advisor text messaging/e-mail alerts, enter local utility-rate information, and create load profiles for individual appliances. Easily export data! Use TED Advisor, a Footprints Software-based program that allows you to receive instant text message/email alerts, based on user-defined parameters. Whether you want to receive one text message a month when you are about to exceed your budget, or a daily text message stating your highest voltage reading for the day, you have the power to set what you want, when you want it. Use one of TED's third-party apps to view real-time electricity data remotely. View interactive charts and graphs, set alerts, and receive instant data on your computer/laptop, iPhone, iPad, Android, Blackberry, and other Internet-enabled devices. TED quickly and easily installs in your home's breaker panel. By connecting two sensor clamps around the incoming power conductors that feed your panel, TED measures the flow of electricity within your home. Information is sent over existing electrical wiring in the home to the compact wall-plug Gateway. You can then view real-time data on the wireless display or via a computer and/or smartphone. Most homes have one breaker panel. Some homes have more panels.